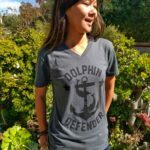 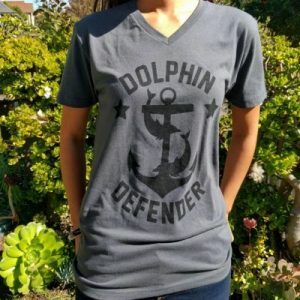 100% Organic Cotton tee with simple Anchor Dolphin design on the left chest. 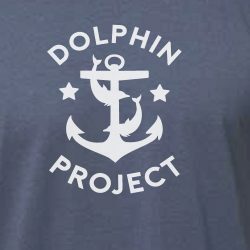 Please note this shirt is discontinued and exchanges may not be possible. 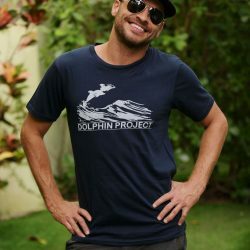 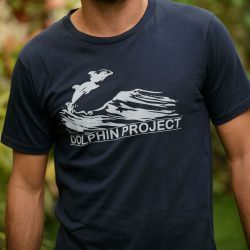 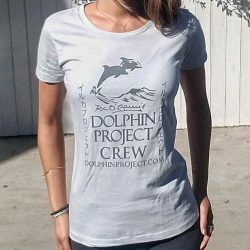 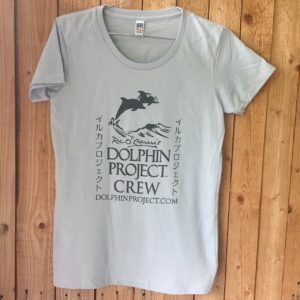 The Original Dolphin Project t-shirt from 1970. 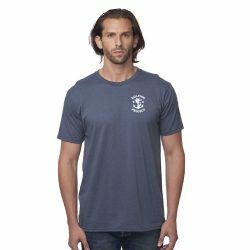 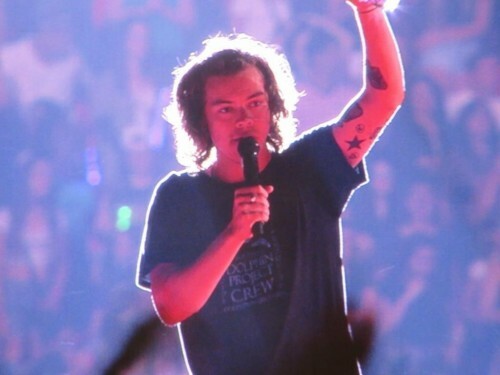 This shirt is discontinued by the manufacturer. 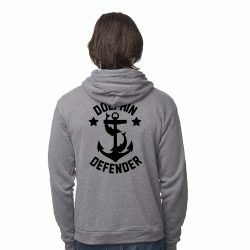 Inventory is limited and exchanges may not be possible. 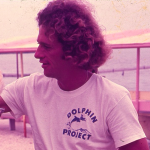 Our “Classic” tee designed by Ric O’Barry in 1973. 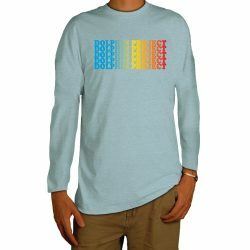 This is a unisex regular fit shirt that runs big. 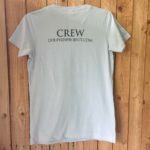 Women may want to order a size smaller. 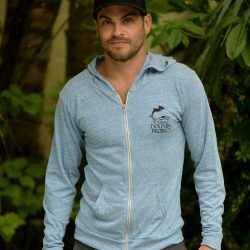 Our limited edition orca tank tops were so popular we created a new version. 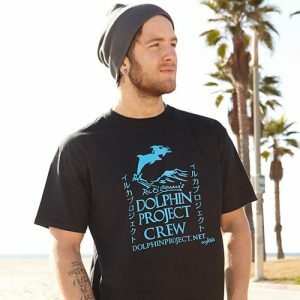 This racerback tank shows a small pod of orcas doing what they should, swimming free. 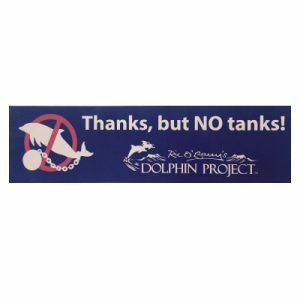 Ric’s saying “Thanks but NO tanks!